The Buddha Smiles is a book about humor used in the early Buddhist teachings in the Pali Canon. The Pali Canon has a reputation for being humorless. And it’s easy to see why. In some of its passages, the Buddha seems to regard humor in a bad light. For instance, in the Wailing Discourse (AN 3:107) he refers to “laughing excessively, showing one’s teeth,” as a form of childishness, and counsels that a monk, when feeling joy in the Dhamma, should simply smile. His instructions to Rāhula in MN 61 note that one shouldn’t tell a deliberate lie, “even in jest.” However, the Canon’s reputation for being devoid of humor is undeserved. Is has a lot of jokes and humor, but a style of humor that can go right past readers in modern cultures where jokes are telegraphed well in advance, and humor tends to be broad. Another reason is that translators often miss the fact that a passage is meant to be humorous, and so render it in a flat, pedantic way. 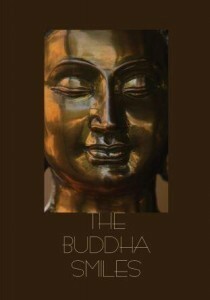 This free PDF e-book will take you on a different journey through the teachings of the Buddha. The Canon’s reputation for being devoid of humor is undeserved. Is has humor, but a style of humor that can go right past readers.